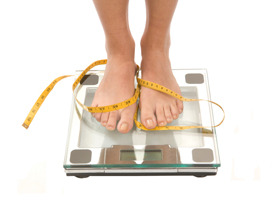 Metabolic Disorders: the 2011 diet fad? From Low-carb to Gluten-free to Glycemic indexes, Americans are vigilantly searching for the perfect diet. So what’s next? Phil Lempert, Food Marketing Expert and contributing editor of Supermarket News, sees metabolic disorders and metabolic type diets taking the lead in how Americans eat in 2011. Metabolic problems are conditions related to the body’s ability to convert the fuel from food into energy. Metabolic syndrome refers to a group of risk factors including high blood pressure, high blood sugar, high cholesterol levels and belly fat that increases risk of heart disease and diabetes. A new study published in the journal Diabetes Care found that 34 percent of U.S. adults in government health surveys conducted between 1999 and 2006 had metabolic syndrome – up from 29 percent in similar surveys done between 1988 and 1994. Researchers found the rise in metabolic syndrome was primarily due to growing rates of abdominal obesity and high blood pressure. The most significant increases in metabolic syndrome, according to the study, were occurring in women – and mostly in younger women regardless of race or ethnicity. The main concern with this continuing rise is that it forecasts a similar increase in the rate of type 2 diabetes, according to a report from Reuters Health. Lempert predicts that diets focused on metabolic health will be the focus for the coming years. Rather than a diet plan de jour, the goal of achieving better metabolic health complements the government’s mission of changing the lifestyles and eating habits of Americans. Metabolic-based diets are focused on changing the way individuals eat by first determining their metabolic type. There are three metabolic types: protein, carbo, and mixed. Foods those types crave are the same foods they should limit. For example, carbo types are slow oxidizers and generally have relatively weak appetites, a high tolerance for sweets, problem with weight management, type A personalities and are often dependent on caffeine. According to the metabolic typing diet, carbo types should eat diets that are high in carbohydrates and low in protein, fats and oils. They should eat light, low-purine proteins. Protein types, on the other hand, do not function well on vegetarian, high-carbohydrate eating regimens. Key elements to metabolic health, according to the Cleveland Clinic, are keeping carbohydrates to no more than 50 percent of total calories; eating more complex carbohydrates; increasing fiber consumption; reducing intake of red meats and poultry; and consuming healthy fats such as those in canola oil, olive oil, flaxseed oil, nuts, and chia seeds.